CNS STORY WINS AWARD: A CNS article by Anthony Cepak, “Journalists Face Danger Every Day, Not Just in War,” has won a Best of MSU Award in the online news reporting category. NEW BOOK BY CNS DIRECTOR: MSU has just published “One Community, One Week, Many Faiths: The Diversity of Worship and Belief,” edited by CNS director Eric Freedman and MSU photojournalism Professor Howard Bossen. Written, photographed and designed by students, it profiles 27 religious institutions in the Lansing area. CNS publications can email freedma5@msu.edu for a review copy and press release. All articles ©2015, Capital News Service, Michigan State University School of Journalism. Nonmembers cannot reproduce CNS articles without written permission. ROUNDGOBY: Invasive species aren’t all bad news, according to a new study that finds smallmouth bass and yellow perch benefiting from abundant invasive round gobies in two of the Great Lakes. 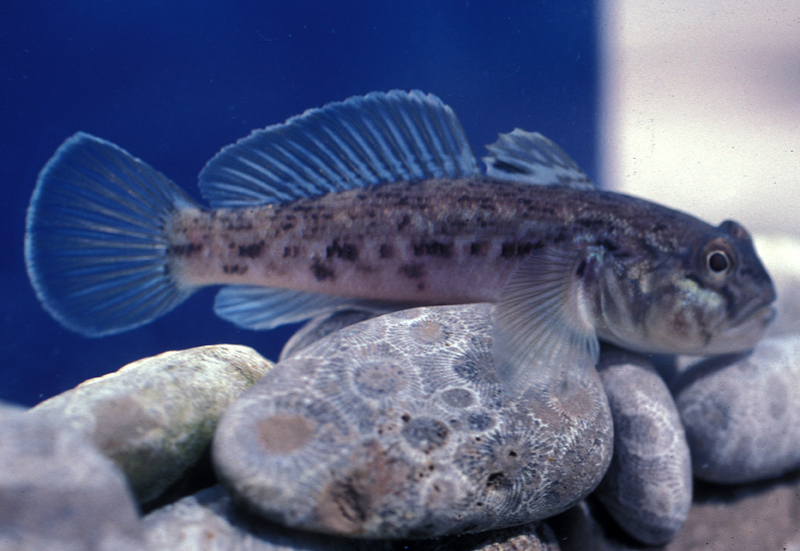 Possible benefits for walleye and burbot are less certain, and round gobies may be displacing native sculpin in Grand Traverse Bay and Calumet Harbor. We talk to the lead researcher, from Lake Superior State University, and a DNR fisheries expert. By Eric Freedman. FOR TRAVERSE CITY, MARQUETTE, SAULT STE. MARIE, ST. IGNACE, BAY MALLS, TRAVERSE CITY, CHEBOYGAN, PETOSKEY, HARBOR SPRINGS, LUDINGTON, MANISTEE, HOLLAND, ALCONA, ALPENA & ALL POINTS. w/ROUNDGOBYPHOTO: Credit: Michigan Sea Grant. GRAYMONTMINE: As a DNR decision over a new Upper Peninsula limestone mine looms, officials must weigh a variety of environmental risks, economic benefits, and public opinion before deciding to approve or deny Canadian firm Graymont’s proposal. In a story that builds from this week’s hearing in Newberry, we speak with the district’s senator, environmentalists, and officials from DNR and DEQ By Elizabeth Ferguson. FOR SAULT STE. MARIE, MARQUETTE, BAY MILLS, CHEBOYGAN and ALL POINTS. STUDENTLOANCREDITS: A bill to provide tuition tax credits for people paying off student loans is designed to keep young graduates in Michigan, but not everyone is convinced the plan will work. Sen. Curtis Hertel Jr., D-East Lansing, ntroduced a bill to ease college graduates’ loan burdens for up to five years after graduation if they live and work in Michigan. With detail from the senator and reaction from a skeptical Central Michigan University professor and an associate director of financial aid at Michigan State University. By Josh Thall. FOR HOLLAND, THREE RIVERS, STURGIS, BLISSFIELD, LANSING CITY PULSE, CADILLAC, BIG RAPIDS, GLADWIN, LAKE COUNTY, and ALL POINTS. BARNS&QUILTS: Preserving the state’s heritage barns help people remember rural history, save money and boost tourism revenue. And heritage barns can anchor other tourist attractions, such as quilt trails. We talk to representatives of the Michigan Barn Preservation Network and Alcona County Quilt Trail. Among the other quilt trails are ones on the Old Mission Peninsula, Keweenaw Peninsula and Mecosta County. By Julianna Moxley. FOR ALCONA, ALPENA, CADILLAC, TRAVERSE CITY, BIG RAPIDS, MARQUETTE, BAY MILLS, GRAND RAPIDS BUSINESS & ALL POINTS. 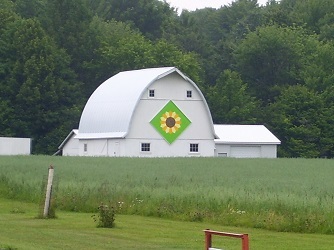 w/BARNS&QUILTS: A sunflower quilt block at White Barn Gardens near Harrisville. Credit: Cindi Van Hurk. 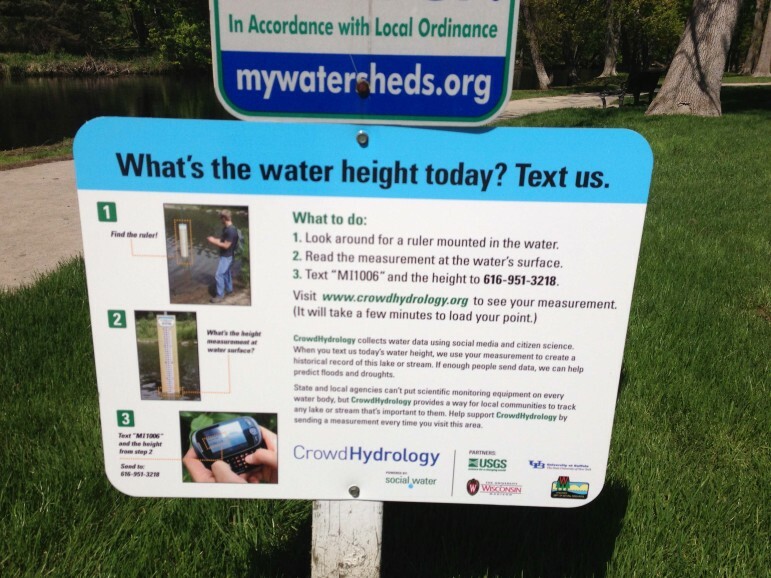 STREAMAPP: A new app lets citizen scientists measure the depth of streams and rivers to help researchers understand how water moving through watersheds changes across the Great Lakes region and to provide useful information to canoeists and anglers. 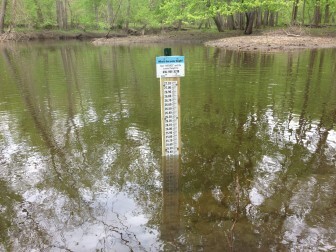 Stream gauges are located in 19 locations in the state, including Indian Springs Metropark, Boyne Valley, Frankfort, Onekama, Kalamazoo Nature Center, Plaster Creek in Grand Rapids and Potter Park Zoo in Lansing. We talk to experts from MSU and the State University of New York in Buffalo. By Chelsea Mongeau. FOR MANISTEE, PETOSKEY, STURGIS, THREE RIVERS, LANSING CITY PULSE & ALL POINTS.